Once again I have some AMAZING Yves Rocher products to share with you and they just keep knocking the ball out of the park time and time again - this time it is no exception and you are going to love these- just in time for Fathers Day OR a treat for yourself at ANY time! 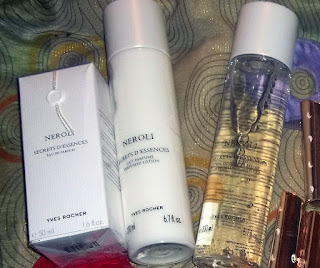 First up, we have a powerful new women's line called Neroli, which launched last month and which I have been fortunate enough to try out since in the form of a shower gel, moisturizer and a perfume! Neroli is described as a musky floral cent over at the Yves Rocher website and I would have to agree - less musky and more on the floral side though, with a delicate breeze across your skin with uplifting fresh scent! Not at all heavy, but long lasting, the body wash slightly bubbles and gentle washes with a little warm water and leaves the skin soft and not dry or sticky! Paired with the Neroli moisturizer, you're left with soft, moisturized, lightly fragranced skin topped off with the light cent of the perfume for an all-day aroma, which is left to delight the senses and pic up your day! I particularly love this scent and have been complimented when others have caught wind of it, which is always a great sign of something delivering on a promise - fabulous! Equally, there are great items currently available for the men in your life as Ambre Noir makes its debut, with its "woody character of Patchouli and Vetiver with the sensuality of Tonka Bean" and paced in its little black box, this makes a wonderful gift for Fathers Day OR any day! My 16 year old son loves the smell of this and so it is teen friendly, too! A little goes a long way and it lasts! Whether you're buying this for yourselves, your fathers or your sons, this one is sure to hit the spot - with a selection of body wash and fragranced spray, you will feel and smell fresh all day and ready to face the world! Yves Rocher has special Father's Day prices for Ambre Noir right now so why not head on over HERE and take a look! It is never too late to hook up the men in your life with a gift and why not make the most of the occasion! You may also want to consider Yves Rocher's new MEN FRESH! Products, which come in a wide range from aftershave cooling balm to exfoliating face wash and over to hair and body shower gel among others! This range is rich, moisturizing and full of Organic Aloe Vera and Chamomile Water! Great for the skin, soft to the touch and delicate for all skin types (in our house at least!) and VERY affordable prices with up to 47% discounts on the Yves Rocher website! All of the men in our house agree that this one is a keeper and would be happy to be presented with their own set for father's day OR even a token of love and money in a card ready to go for purchases on these products for father's day, too!! (hint, hint!). Overall, all of the products mentioned in this review have gone down SO WELL in our household that we're all smelling super fresh and delightful, with even my 16 year old scrubbing up well and making the effort! All of these products, without exception, get a big THUMBS UP! from us all! Very well played, Yves Rocher! Great Job! Have you tried any of these products from Yves Rocher? What did you think!? Which ones were your favorite and which ones would you recommend!? I would LOVE to hear from you! Disclaimer: I was provided all of the mentioned products for the sake of this review! No monetary compensation was provided and all opinions are 100% honest and our own! Your views and feelings about items may differ from ours! Thank you! 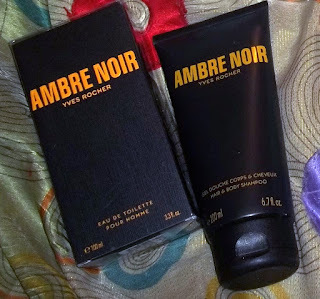 The Ambre Noir sounds like something my son would like. He's 13 and we'll try anything to keep him from being stinky! I love Yves Rocher products! I have been using it for the last 6 months but haven't tried the perfume. 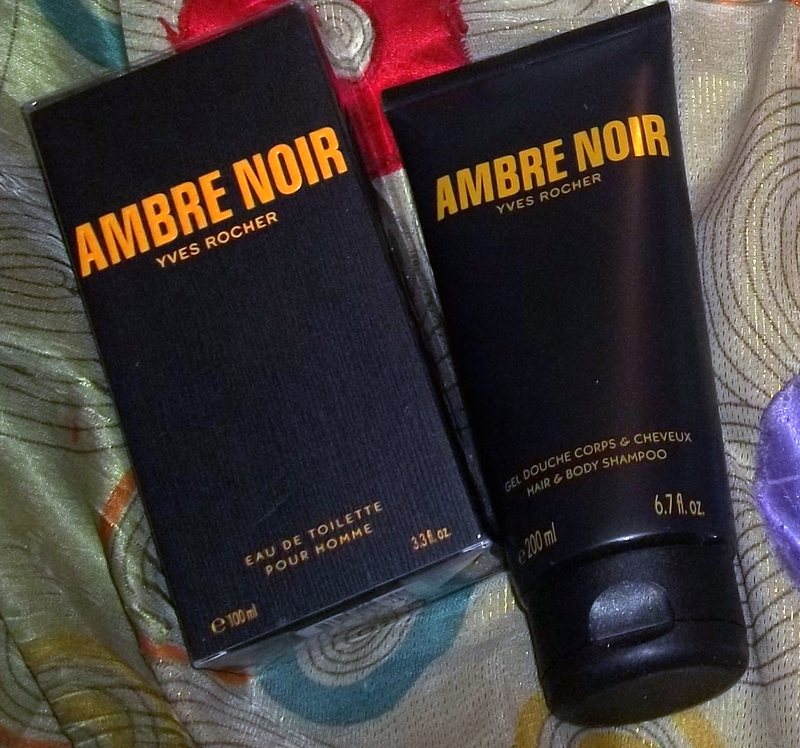 I think my husband would like the Ambre Noir too! I have never used any of the Yves Rocher products before but I'm willing to try them sometime. Sounds like they have some really nice products. I haven't tried Yves Rocher before but I do see lots of great reviews which makes me want to try them. Thanks for sharing. I need to look at some of Yves Rocher products! I really like so many of the women's products! They have a nice scent and pretty colors and packages. My Dad would really like to have some of their cologne! It decidedly valuable and it has supported me out loads.I am planning to contribute and help distinctive clients like its helped me. Extraordinary employment.